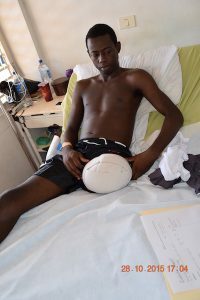 Norman is the next young man we want to help his from St Patricks in Grenada, its hoped we will raise the money to buy his leg by the 2nd week of June . Please help us today and make a donation. Norman is 29 years old don’t just look and go away and forget make a donation help us to help this young man press the donation button and change a life . LimbsCrew.org © 2019. All Rights Reserved.